I’m so excited that fall is almost here! I love to bake but it is often just too hot to bake in the Florida summer heat. As soon as temps are no longer in the 90s every day, I am ready for baking, college football, and hot cocoa. When I was asked to review a magazine called “Fall Baking 105 Recipes to Warm Your Heart” I couldn’t pass it up. There are so many recipes in this magazine that I want to bake! 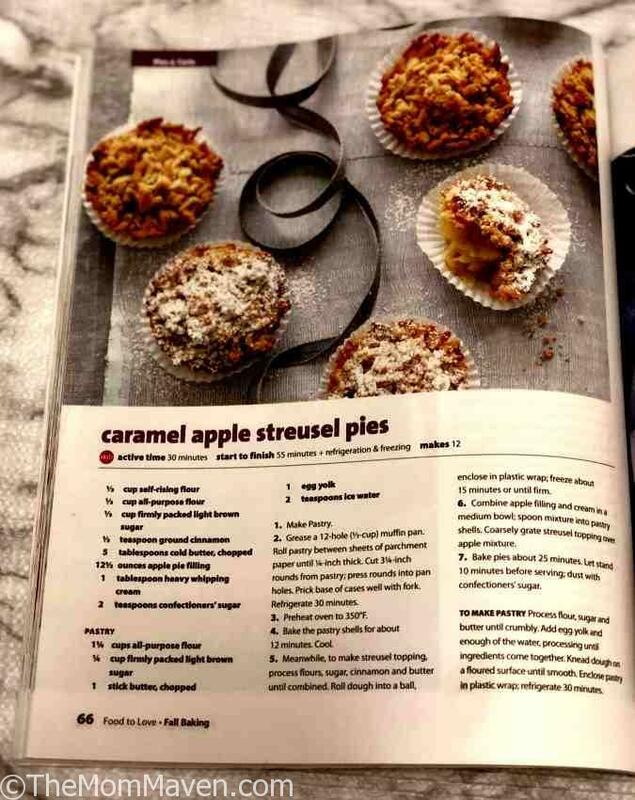 I started with the Caramel Apple Streusel Pies but I can’t wait to make the triple-chocolate crackle crunch cake, the banana caramel layer cake, and the cookies & cream cake, just to name a few! Fall Baking, the latest special issue from Bauer Media Group, hit stands in August and it’s time to get your baking supplies ready. This 128-page special is your guide to sweet perfection, featuring more than 100 recipes that have been triple tested to ensure you’ll get the results you are craving each time. As we anticipate the weather turning cool, start to think about warming the hearts of those you love with treats from your own oven. There are handy tips and icons to help make your baking a success whether you are a seasoned veteran or new to the craft. Savory Breads & Rolls-Few things are as enticing as the aroma of fresh=baked bread. Toast and butter it for breakfast, use it for artisan sandwiches or serve it as a satisfying side. Cakes– You don’t have to wait for your birthday to indulge in a sumptuous cake. Make any day a special occasion with tender slices topped with sweet icing, ganache & more. Pies & Tarts– Tuck nuts, fruit, caramel and more into flaky, buttery pastry to create luscious desserts to share with friends over coffee or tea. Cookies & Bars– These classic bite-sized treats generally prep faster than other desserts but they are not short on deliciousness. Muffins, Scones & Loaves– Sweet muffins, scones and slices are the perfect portable snack. Pack one in your lunch bag to enjoy as an indulgent midday treat. Teacakes & Cupcakes– The very best way to share a little homemade love is to bake a vintage cake or individual cupcakes. Your family, friends and co-workers will agree. Pastries & Whoopies– The next time you’re on dessert duty, you can skip the bakery stop. Fire up the oven and make fluffy puffs, twists, scrolls and more. Inside, you’ll find all of our favorite fall recipes, plus fresh twists on the classics. From-scratch breads, pies, cookies, muffins, pastries and more will fill your home with delicious aromas. Whether it is enclosed in your pastry, sprinkled with nuts or slathered with ganache, you’ll find your new seasonal treat right here. Grab an apron and get to baking! I want to start off by saying this recipe is easy, but time consuming. There is 60 minutes of refrigeration time, 15 minutes of freezer time, 22 minutes of cooling time, and 37 minutes of baking time! Don’t be discouraged by this but be prepared. The recipe card can be found below. Process flour, sugar, and butter until crumbly. Add egg yolk and enough of the water, processing until ingredients come together. Knead dough on a floured surface until smooth. Enclose pastry in plastic wrap, refrigerate 30 minutes. 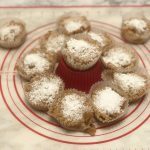 Grease a 12-hole (half cup) muffin pan. 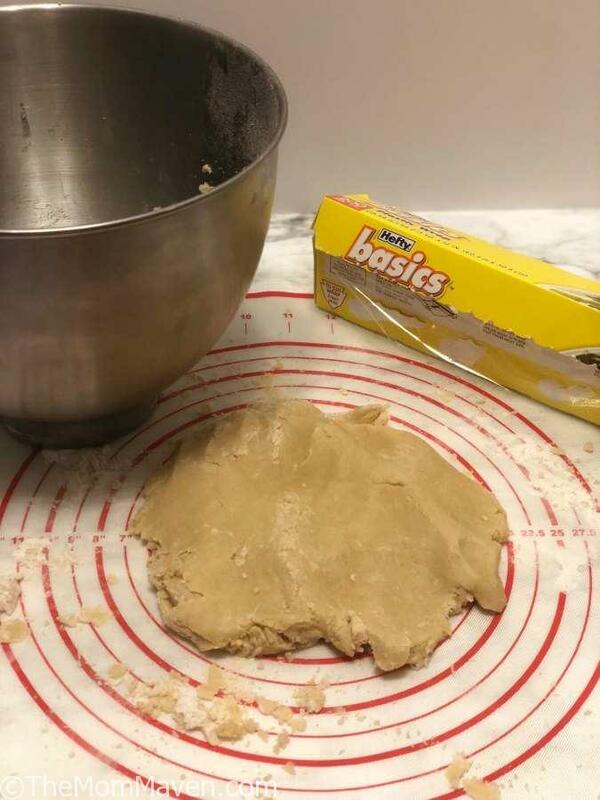 Roll pastry between sheets of parchment paper until 1/4-inch thick. Cut 3 1/4-inch rounds from pastry, press rounds into pan holes. Prick base of cases well with fork. Refrigerate 30 minutes. Preheat oven to 350°. Bake the pastry shells for about 12 minutes. Cool. Process flours, sugar, cinnamon, and butter until combined. Roll dough into a ball, enclose in plastic wrap; freeze about 15 minutes until firm. Combine apple pie filling and cream in a medium bowl. Spoon the apple pie mixture into the pastry shells. 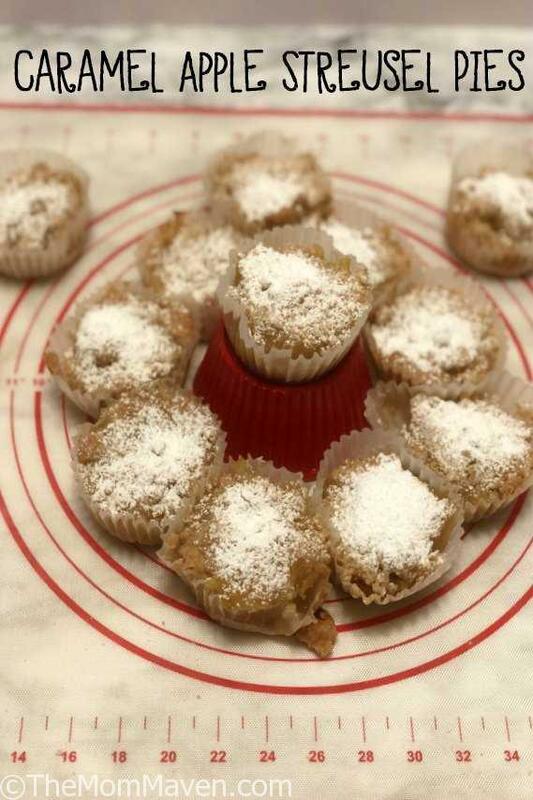 Coarsely grate the streusel topping over the apple mixture. Bake pies about 25 minutes. Let stand 10 minutes before serving; dust with confectioner’s sugar. Fall Baking, the latest special issue from Bauer Media Group, hit stands in August and it's time to get your baking supplies ready. This 128-page special is your guide to sweet perfection, featuring more than 100 recipes, including Caramel Apple Streusel Pies, that have been triple tested to ensure you’ll get the results you are craving each time. Process flour, sugar, and butter until crumbly. Add egg yolk and enough of the water, processing until ingredients come together. Enclose pastry in plastic wrap; refrigerate 30 minutes. 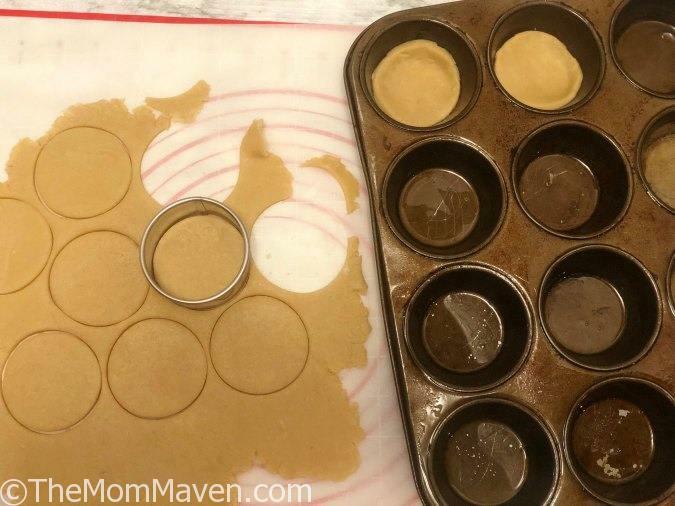 Grease a 12-hole (1/2-cup) muffin pan. Roll pastry between sheets of parchment paper until 1/4-inch thick. Cut 3 1/4-inch rounds from pastry: press rounds into pan holes. Prick base of cases well with fork. Bake the pastry shells for about 12 minutes. Process flours, sugar, cinnamon, and butter until combined. Roll dough into a ball, enclose in plastic wrap. Freeze about 15 minutes, until firm. Spoon apple pie mixture into pastry shells. Coarsely grate streusel topping over apple mixture. Bake pies about 25 minutes. Let stand 10 minutes before serving, dut with confectioner's sugar. 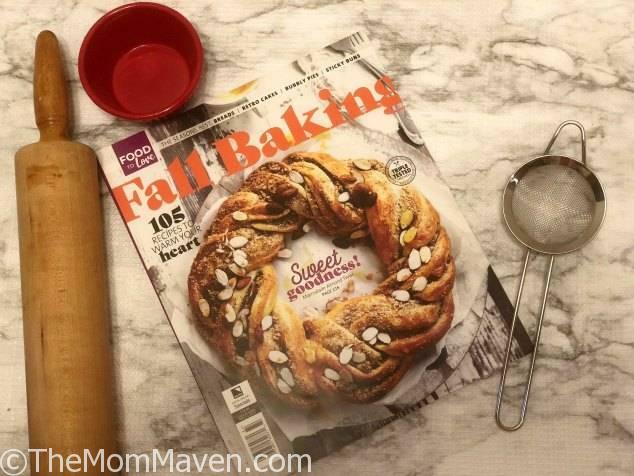 Thanks to this magazine I have officially kicked off fall baking season! 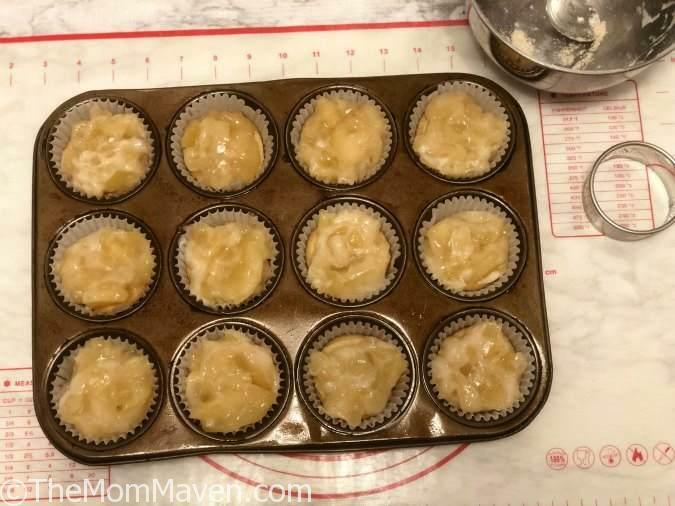 I enjoy these single portion apple pies, though I’d add some cinnamon to the pie filling next time 🙂 I hope you enjoy this recipe and all of the easy recipes I share here on The Mom Maven. I hope you share them on your social networks. I just ask that you not copy and share the entire recipe with photos. Please use the sharing buttons below and share the link to this post. 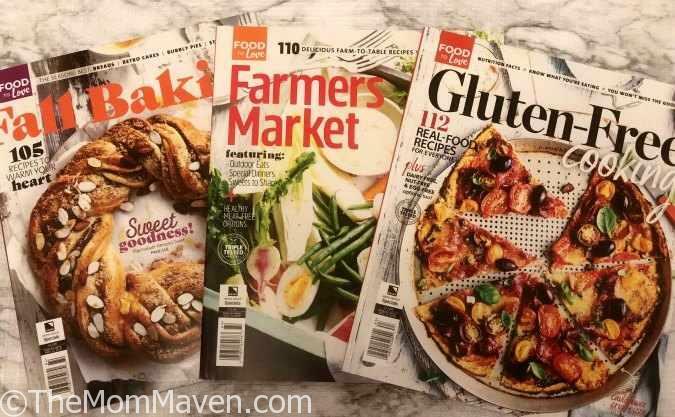 Bauer Media Group has other cookbook magazines on news stands now. In addition to Fall Baking you can also find Gluten_Free Cooking and Farmer’s Market so check them all out.